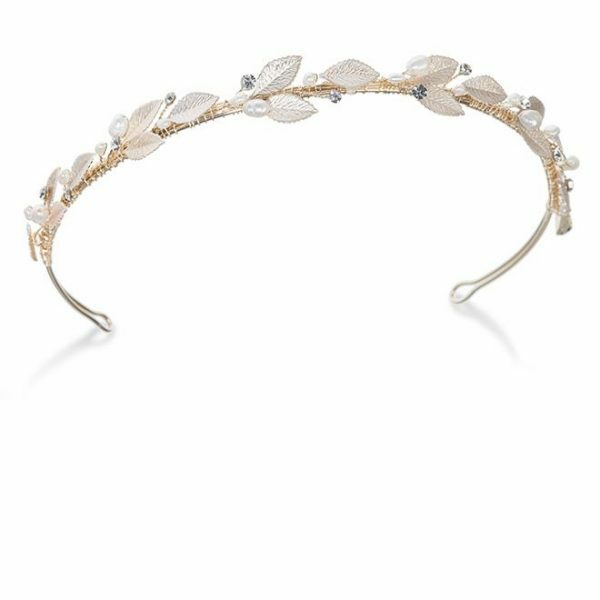 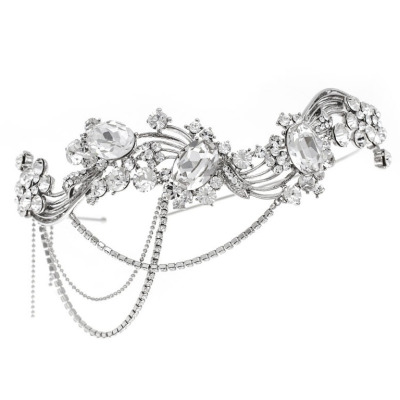 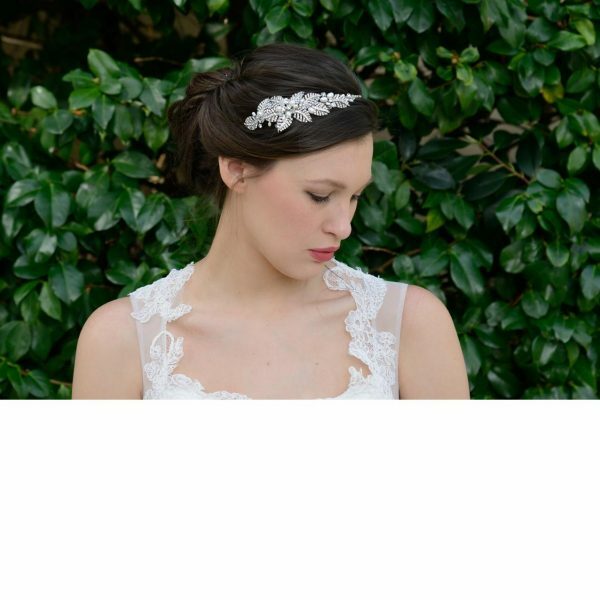 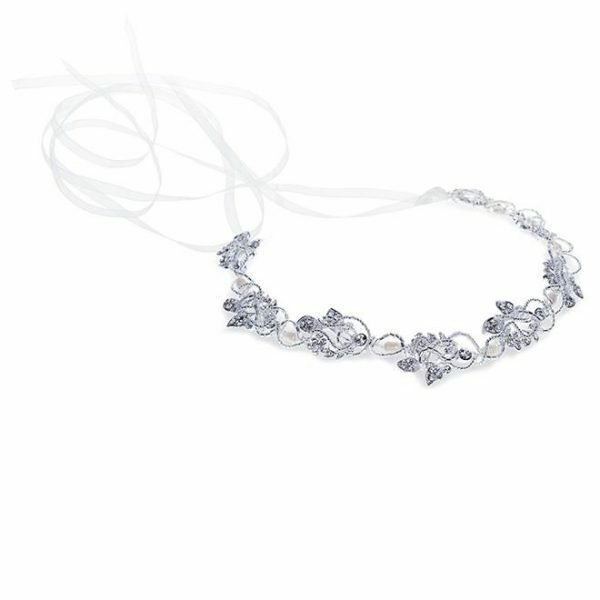 Bella pearl bridal headband. 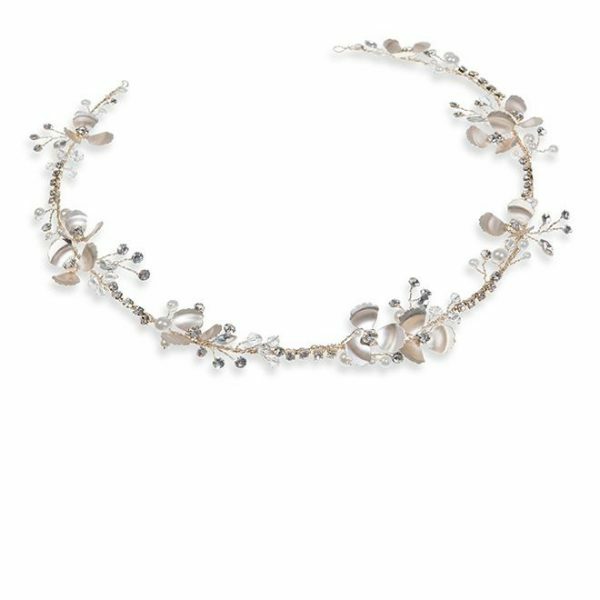 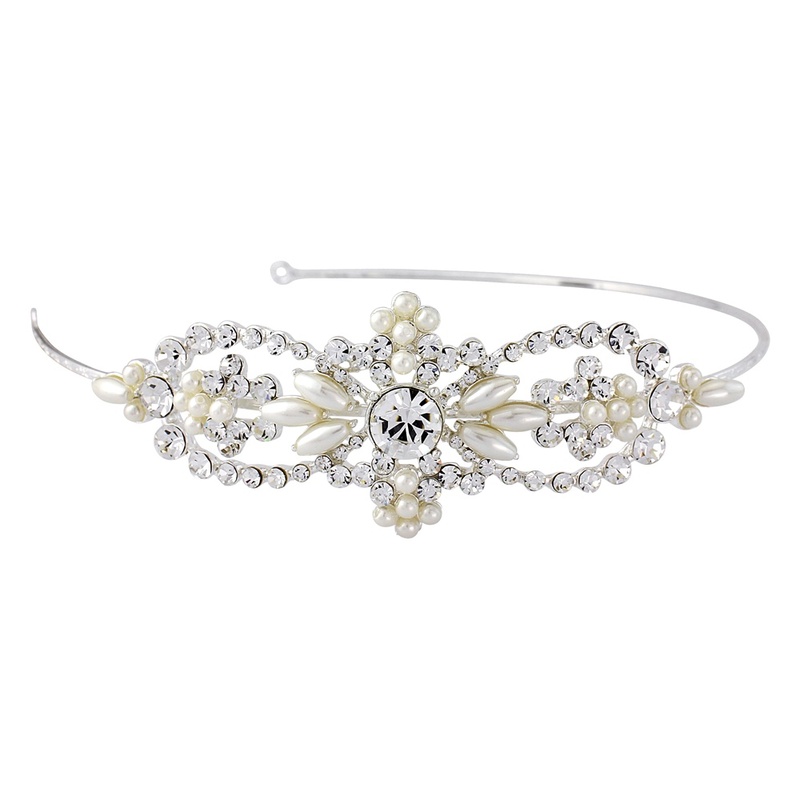 A detailed and unusual design headband with pretty pearls and crystal detail in quite a contemporary, bold design. 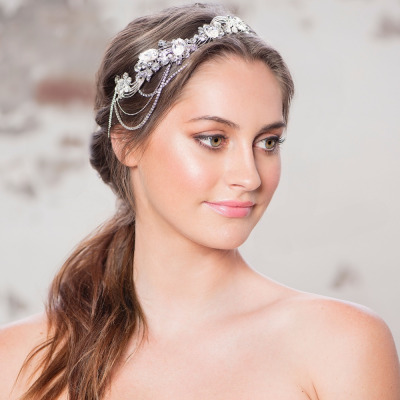 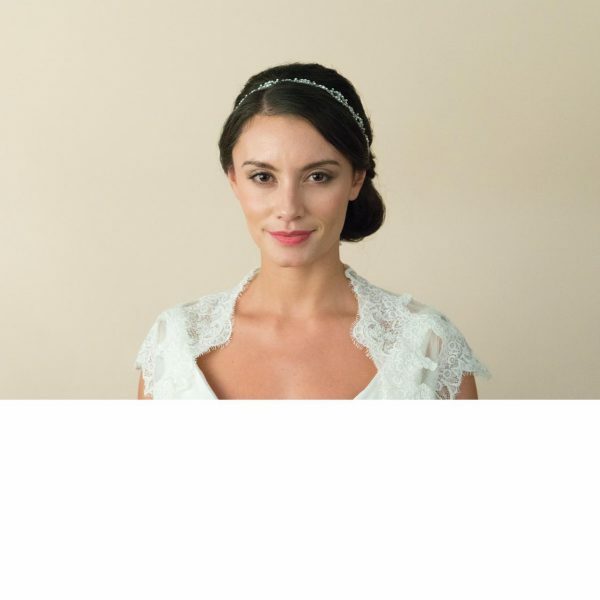 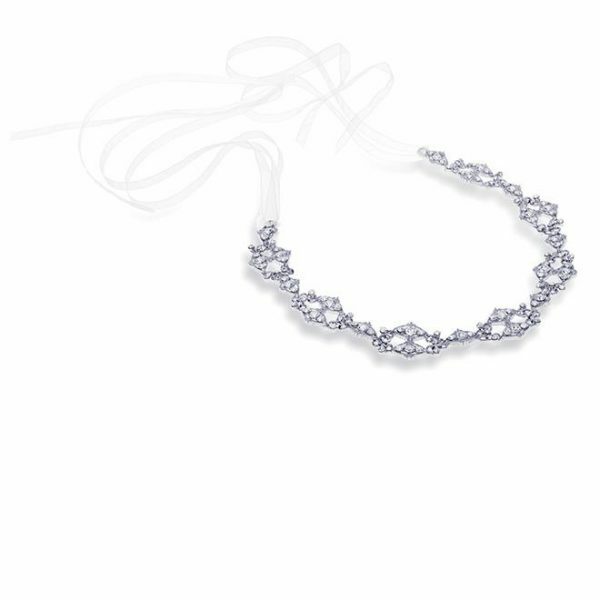 The Bella is a stunning, medium-sized headband for the bride, bridesmaids or flower girls who want to add side-detail to her overall hairstyle. 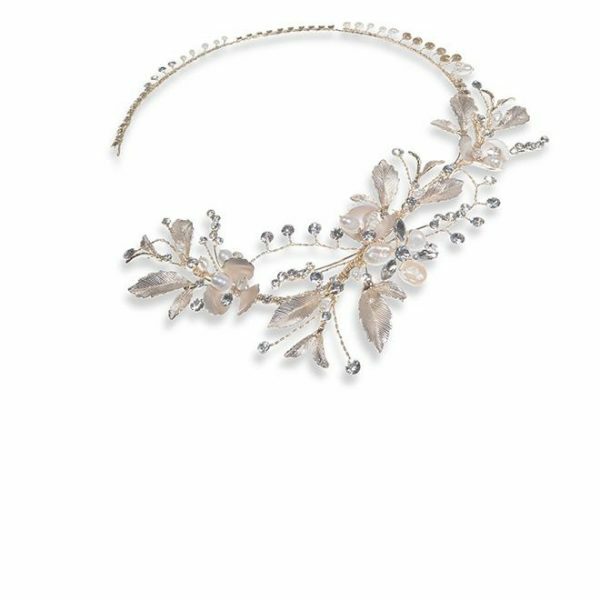 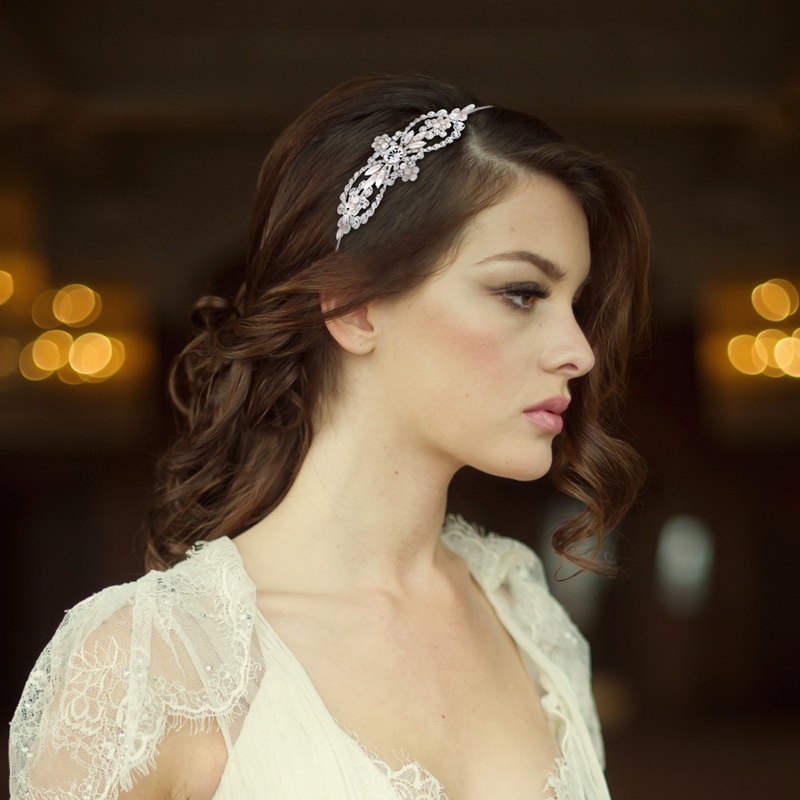 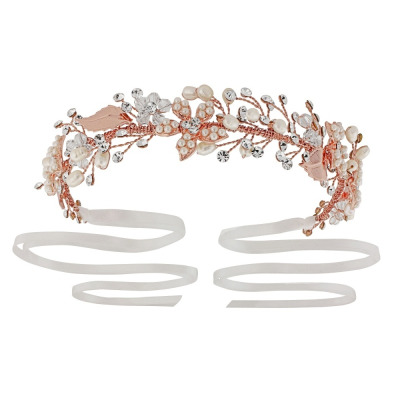 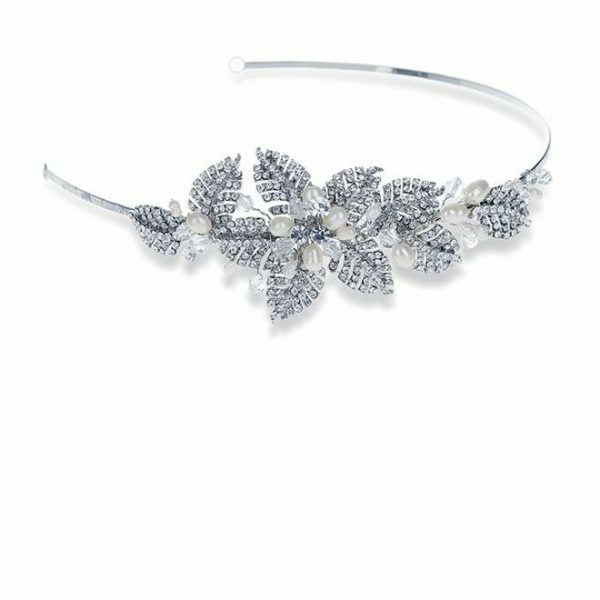 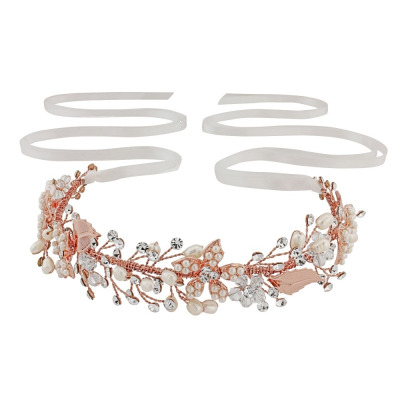 The headband is perfect to complement a pearl or crystal detailed wedding gown or to create a hint of vintage!